No one else builds single-cabinet, solid-state transmitters with power outputs of 6 kW – 30 kW in -14 dB hybrid mode and 5 kW – 21 kW for -10 dB. Here you’ll find resources to help you learn about the HD Radio® power increase from an industry perspective, and how to upgrade existing Nautel FM products. This power increase applies to FM stations only. With the exception of a few “Super B or Super C” stations, everyone is eligible to upgrade to -14 dB from -20 dB. The FCC requires notification or in the case of an increase beyond -14 dB, a simple application. If interference issues prevent the use of increased IBOC injection levels on both sidebands, broadcasters now have the option to increase only one sideband while leaving the other at levels that do not cause interference with adjacent stations, and still achieve maximum coverage of their digital signal. Nautel includes its award-winning asymmetrical HD Radio transmission capability FREE with all new HD-equipped transmitters. Note: FCC approval is required for asymmetrical transmission. Wondering How That Benefits You? Calculate your proposed IBOC power increase using our exclusive Asymmetrical IBOC Sideband Elevated Power Calculator from Cavell Mertz. 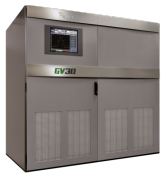 GV Series FM transmitters now contain software to permit operation at elevated sideband power levels (subject to the transmitter’s de-rating chart). For stations which have yet to upgrade, this page will help plan for the correct size transmitter to meet your goals. 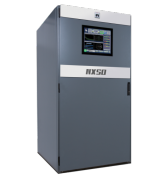 NV Series transmitters shipped before August 1, 2009, contact customer service for instructions on a minor, free hardware modification and make sure software V2.7 is installed. 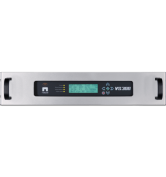 For NV Series transmitters shipped after August 1, 2009, verify that software V2.7 is installed and sideband power may be raised (In all cases verify maximum power limits before increasing your transmitter power).